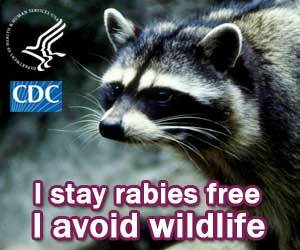 Dogs, cats, cows, horses, wild animals: Any of them can contract and transmit rabies. And health officials in Osage County and surrounding counties are urging caution when encountering animals that might be acting strangely. 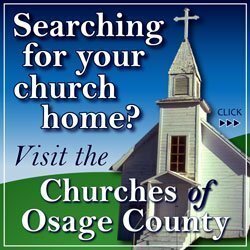 Already this year Osage County has had three reports of rabies, according to Anne Gray, Osage County Health Department administrator. In the last two months, two raccoons and a cow were reported to have the disease, leading to the euthanizing of the cow and her nursing calf, and two dogs that had been attacked by raccoons, Gray said today. 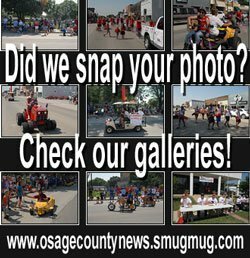 The animals were at Osage City, Overbrook and Carbondale. She said the county usually has one or two cases reported each year, but three so far this spring and early summer has caused concern. 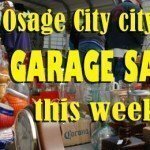 The increase does not seem to be isolated to Osage County, she said. “Franklin, Lyon and Coffey counties have all seen an increase,” Gray said she learned in recent talks with health officials in those counties. In a public service announcement, the Osage County Health Department warns that rabies is a deadly communicable disease and because of the severity of rabies, any animal that potentially has acquired rabies must be treated and quarantined. This includes vaccinated animals, although the risk is lower when fully vaccinated. She noted the dogs involved in the raccoon incidents were euthanized because they hadn’t been vaccinated against rabies, which is the usual outcome for an unvaccinated animal that is bitten. She said vaccinated animals bitten by a suspected rabid animal should still be quarantined for 10 days to determine if they are infected, but keeping a pet’s vaccinations current may save its life if bitten by a suspected rabid animal. “Euthanization of a family pet could be totally prevented,” she said. It is unknown what kind of animal infected the cow, she said. The health department cautioned that every animal bite or scratch that breaks the skin and may include contact with saliva requires an investigation into possible rabies transmission. The risk of transmission to humans by unvaccinated animals is real and frequently results in an expensive series of vaccinations for the exposed person. “Treatment for humans consists of four or five rabies vaccinations over three weeks time at a cost well over $1,000,” Gray said. The health department has the responsibility to investigate all animal bites in the county and all reports of possible rabies, but advises people to learn and teach their children to not take risks and protect themselves from the disease. Do not attempt to play or interact with stray or wild animals. Rabies is not always recognizable. Some rabies have classic symptoms, like aggression or foaming at the mouth, but just as often, there may be “dumb” rabies, without those symptoms. These animals may appear depressed, tired and overly tame. Report animals that appear to have unusual behavior as they may be very sick. Keep all pet vaccinations up-to-date, including barn cats or other pets. Keep hands and face away from animals, even gentle pets. Leave them alone when they are eating. Even the gentlest pets can be protective of their owners, their food or their home. Avoid aggressive play with your pets. Don’t wrestle or tease. Gray advised that if a strange-acting or aggressive animal is encountered, a report should be made to the Osage County Sheriff’s Office at 911 or if a non-emergency, 785-828-3121. She said all animal bites or suspected rabies cases should also be reported to the Osage County Health Department at 785-828-3117. The health department is located at 103 E. Ninth St., Lyndon.